As network marketers begin making extra money from their new side business, they do not have a plan for how to pay the least taxes, keep the most money, and invest it properly. They usually spend all the new money they are earning. It is great to have the new earnings vehicle, but it is still futile without learning how to be smart with your money. Until you understand money and how to attract it, keep and grow it, you are likely to just spin your wheels spending every dollar that comes in the door. Having earned an 8-figure income by building a team of more than 450,000 distributors, Brian Carruthers has devoted himself to teaching not just how to make millions, but how to be worth millions. 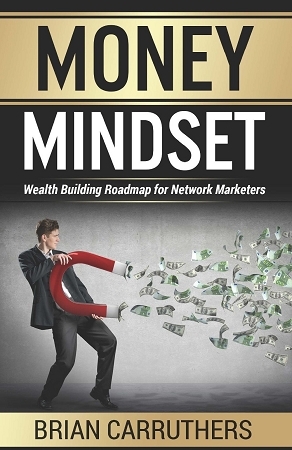 Money Mindset will be your ticket to the wealth-building fast lane — and is a must-read for every network marketer on the planet.